Welcome by Kaye Swanson, Sr VP and Chief People Officer, QAD! Trying for a promotion? Want to expand your client base? No matter what type of personal or business expansion you are seeking in the new year, our panel of experts will answer your questions about how to promote and sell yourself effectively. With combined decades of experience at getting products to market, our experts will leave you feeling confident and excited about selling yourself and your business. This is a not-to-be-missed event for the new year! Light appetizers and drinks included. A key player in technology marketing since eCommerce was in its infancy, Ashley DeVan helped launch Circuit City's eCommerce in the 90s with the first-of-its-kind "in store pickup� before joining Dell in its heyday as part of the team that made buying PCs cool with "Dude, you're getting a Dell." Looking for a change of pace and scenery, Ashley found herself on the West Coast at a little start-up called GoToMyPC (later acquired by Citrix). She then joined Commission Junction, the largest affiliate marketing network in the world, to immerse herself in the truest form of performance marketing. Thriving on the challenge of change and opportunity, Ashley joined QAD, a leader in cloud and on-premise manufacturing ERP software, to lead a young and energetic marketing communications team. Ashley has a passion for inspiring others to look at things from different perspectives. A proponent of action, she spends a lot of her time aligning with others and creating groundswells within an organization. She is a firm believer that once a target is clear, teams can accomplish amazing things. In her spare time, Ashley cherishes every opportunity to travel and enjoys scuba diving, camping in the Sierras and spending time visiting her family in Kentucky. Patty DeDominic is a Coach for high achieving business owners and mission driven organizations. Over the years her clients have included many prestigious and high growth organizations like AT&T, AutoDesk, Microsoft, USC, Harvard University, technology and education companies like Lynda.com and the US Mars projects and the Japanese space programs. Today her Coaching practice focuses on high growth potential entrepreneurs and Master Mind Groups. In 2001 Patty bought CT Engineering, combined it with her H.R. Consulting & Search firm and sold the companies in 2006 to a company which then grew to over One billion dollars in sales. and the founder of the International Women�s Festivals. Patty is also working with the Young Presidents Organization and Sheryl Sandberg, Facebook�s COO to develop Lean IN Circles in Santa Barbara. Teesee Murray is Director of Sales at QAD, leading a team of sales professionals and partners in delivering Enterprise Resource Planning solutions to global manufacturers and helping them become more Effective Enterprises. Teesee attributes her many sales awards to QAD's proven, comprehensive solution and the exponential growth of Cloud technologies which were once considered disruptive but are now revolutionizing the industry. Pam and Karl Lopker founded QAD in 1979 with a vision to develop software exclusively for manufacturing companies. Many global companies choose QAD for our global manufacturing focus and multinational support. QAD derives over 60% of its revenue from outside the United States and is proud that QAD products are in use at over 5,300 manufacturers in 90 countries. While other companies may be larger than QAD, none has a complete focus on global manufacturing companies. 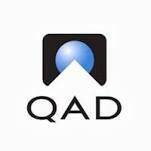 For the past 33 years, QAD has concentrated on a select set of vertical markets in manufacturing: automotive, consumer products, food and beverage, discrete products configured products, and life sciences. Please plan to pay in advance. We accept checks.